ZIMBABWE – Comedian Carl Joshua Ncube’s video, Parody of high flying prophets has riled some Christians who have labelled the recording distasteful as it pokes fun at “men of God”. The video is a promotion of his upcoming Harare show on Friday which he has dubbed Miracle Laughter at the late night show. On the video, Ncube calls the show his “first ever sermon” that will be brought to people by his “church organisation” Comedy Embassy National Ministries International. In apparent reference to most local prophets, Ncube and wife Nelsy appear on an image where they are labelled as heads of the church organisation using names Papa na Mai Carl Joshua Ncube. 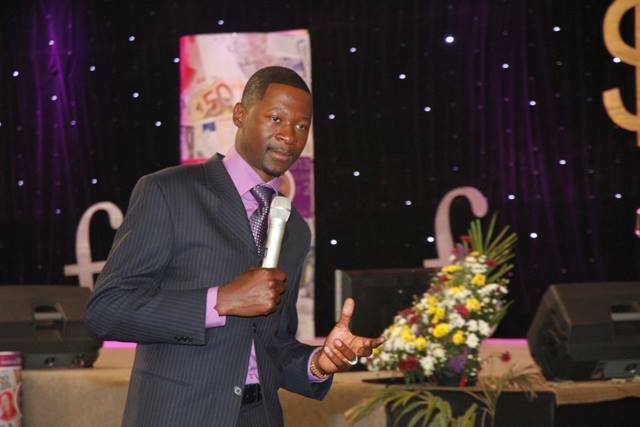 Like the miracle money by Prophet Uebert Angel and miracle pregnancy by Prophet Makandiwa, Ncube says his Miracle Laughter will deliver people from ailments such as dark complexion and obesity. “Are you tired of being dark and lovely? We can make you light and lovely. But that’s not all, we’ve foot shrinking waist changing, delivery from non addictive substances. Alcohol and cigarettes are available at the venue to test deliverance,” said a presenter on the promotional video. One could easily mistake the video for a crusade that is being organised by one of the numerous prophets on various television channels. On Sunday, Ncube, a Bulawayo-born entertainer who once received death threats from popular prophets’ ardent followers after cracking jokes on their various ministries, said he had riled followers once again. “So the church people are not really happy about this crusade parody I made,” posted Ncube. Attached to the post was a clip of the satirical promotion which he later removed. abandoned jokes about popular prophets in Zimbabwe but the latest video clip shows the comedian is at it again. After his Miracle Laughter, Ncube will travel to South Africa for a performance at the Comedy Central International Comedy Festival in Johannesburg. He will share the South African stage with top comedians Jeff Ross, Trevor Noah, Hanibal Buress and Ariel Spears among others.